Rick's Pocono Blog: Spring is Officially Here! Spring is doing what it does best in the Poconos which is blooming with the color and fragrance of the Beautiful Pocono Mountain sides. The trees, plants, and flowers are coming back to life giving the Poconos its color back! Spring is here. Spring in the Poconos brings out the outdoor Earthy side of the Poconos when the many Golf Resorts get ready to tee off, the Pocono Mountain State Parks are ready for the hikers, and the Lakes are full with hungry biting Fish. 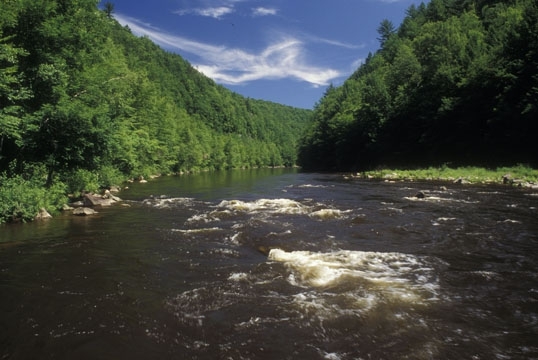 The melting snow and Spring rains cause White Water to rush down from the top of the Mountains creating Wonderful Conditions for the outdoor enthusiasts to get their fill of White Water Rafting in especially on the winding Deleware and Lehigh Rivers. Spring in the Pocono Mountains is a season full of Whitewater Rafting, Kayaking, Canoeing, Fishing, Golfing, Hiking, Mountain Biking, Tennis, Food, Ethnic Festivals, Shopping, and Site Seeing. Before you know it, Summer will be here! Find yourself a Beautiful Home, or you can just Browse for Free at the Many Pocono Mountain Amenity Filled Communities. Who's coming to the Poconos for Spring Time Fun? !